Do You Even Book Bub? First of all, what is BookBub, you ask? BookBub is a free service that helps you discover books you’ll love through unbeatable deals, handpicked recommendations, and updates from your favorite authors. BookBub doesn’t actually sell books. Why readers should use BookBub. ​If you’re a particularly voracious reader, you might find it’s easier to read books in e-book form, because it’s less expensive and more convenient. This also means you’re reading more of them. And buying more of them. 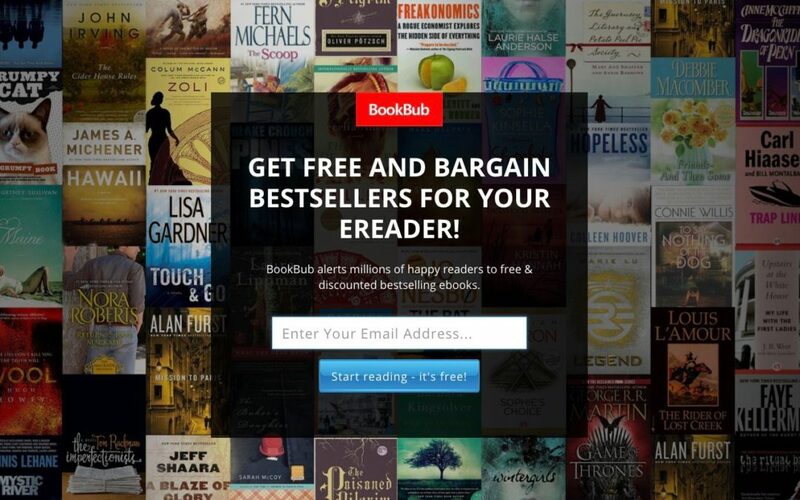 BookBub uses the preferences you chose upon signup, and sends you a daily email blast of discounts on best-sellers, making e-reading much more affordable. The BookBub editors handpick the deals that get sent out every day, so you get one email with carefully curated, high-quality discounted books you’d actually care about. Only 10-20% of what is submitted to BookBub actually makes it into the email. It’s a great way to find great deals and new authors, as well as following the sales and new releases of the authors you already love. You can recommend books you love, review them and keep in the loop on what is going on in your favourite genre. Why reviewers should use BookBub. Amazon can be a nasty beast. So many reviewers have lost review privileges on Amazon, without any way to appeal the decision, or explanation as to why they were banned from reviewing. It’s frustrating for both the reviewer and the author, and deprives readers of reviews that may help them decide if a book is for them or not. BookBub provides a wonderful place to leave your review. They are not affiliated with Amazon in any way, and your reviews won’t be yanked without explanation. Millions of readers use BookBub every day, giving your review a high probability of being seen. Why authors should use BookBub. As Facebook drowns us all in fake news, political opinions and drama, us authors are having an increasingly hard time getting our books noticed by our readers. Our newsletters are being automatically filed as spam, and that’s if they even make it there at all. So many are bouncing. Even Amazon is making it hard. They’re burying our books in hard to find categories and banning reviewers from doing what they do best. 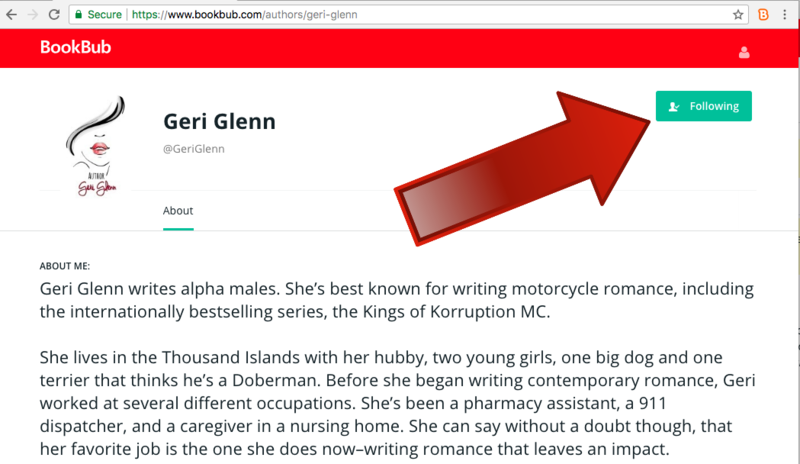 BookBub is a free platform that allows us to create a profile, update our books, and find new readers. When we have a new release, they send out an email to all of our subscribers, letting them in on the news. It’s a win-win for both author and reader. Why you should follow me. I’m everywhere. Google my name and it’s not hard to find a place to follow me. The problem is, I get buried. Facebook has changed their algorithms, making it so just a few of my almost 5000 followers see my posts. Instagram doesn’t have a feature to give you easily clickable links. My newsletter is a great way to find out about my books. It’s usually longer, and a little chattier, so you must have time to read it. BookBub’s newsletter is quick, concise, to the point and reliable. To follow me on BookBub, click here, and select Follow!